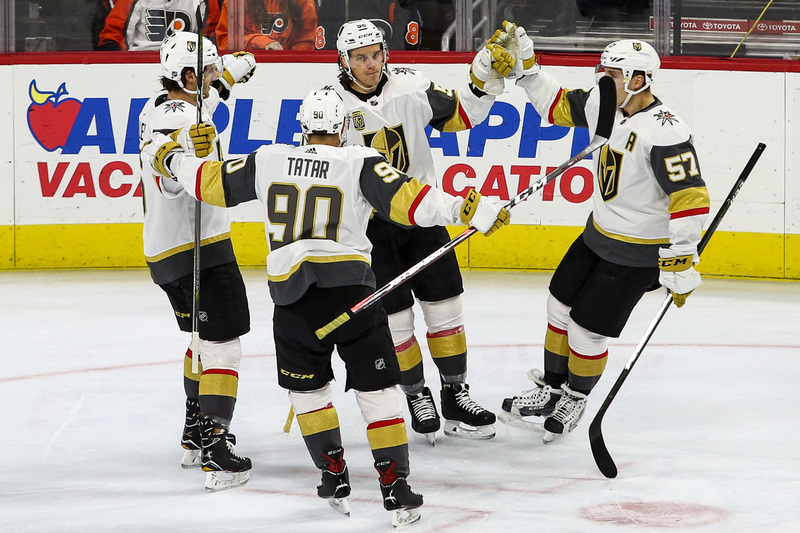 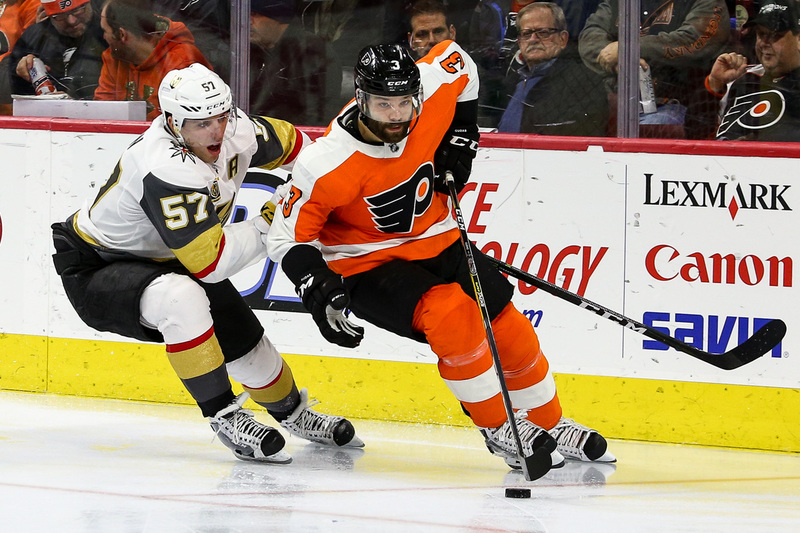 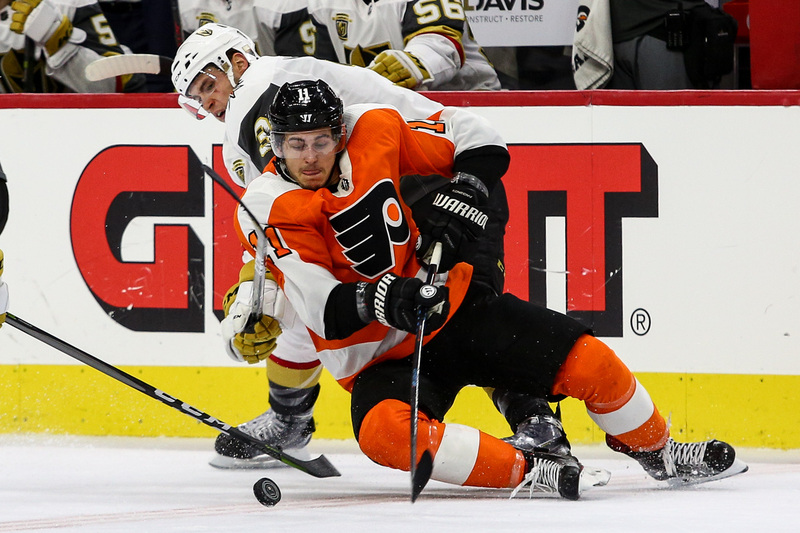 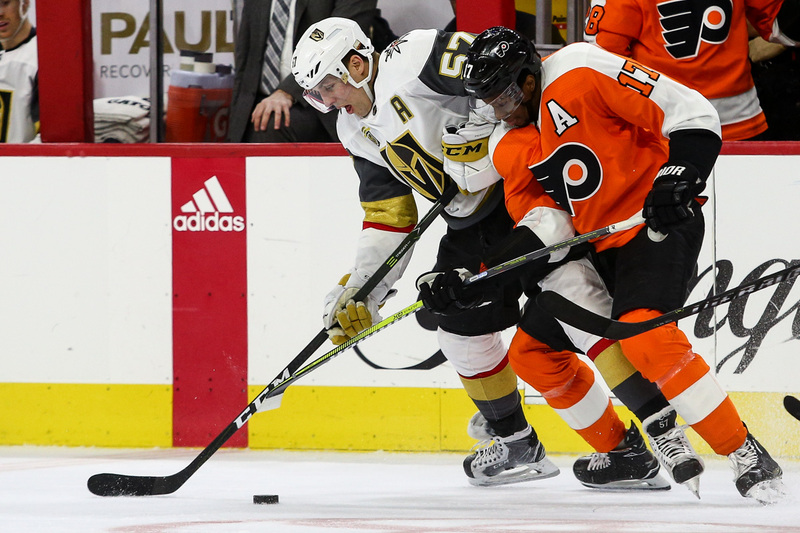 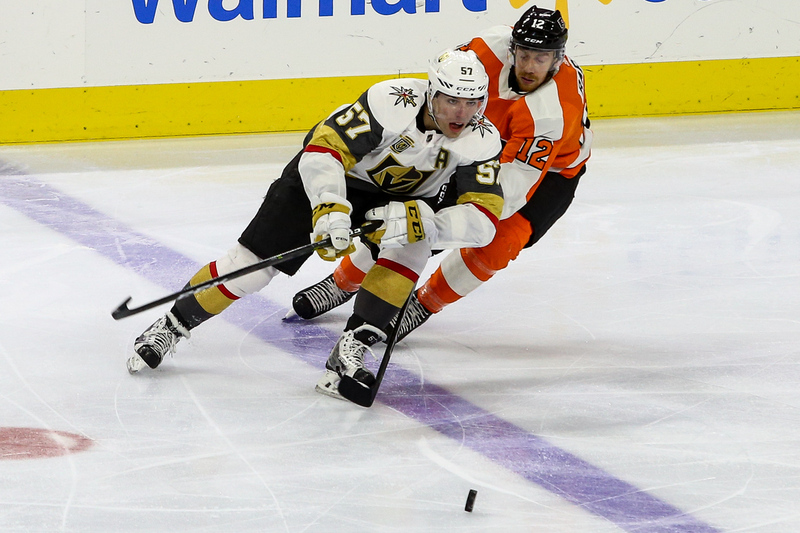 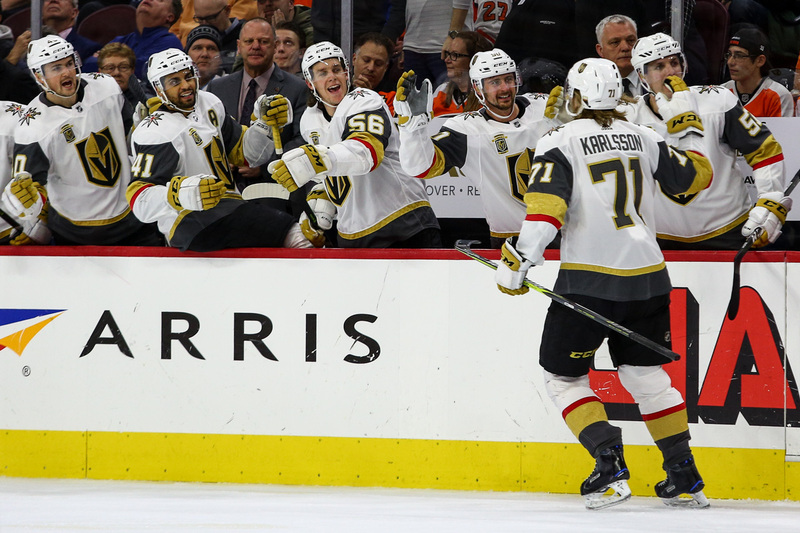 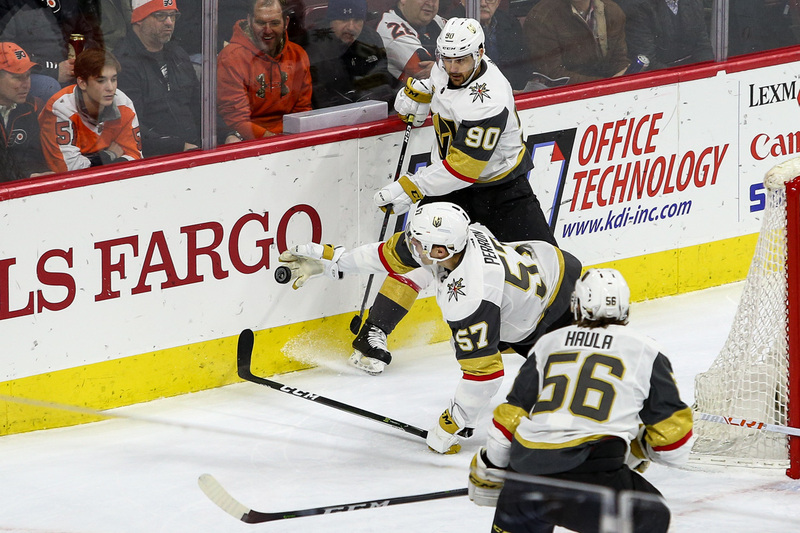 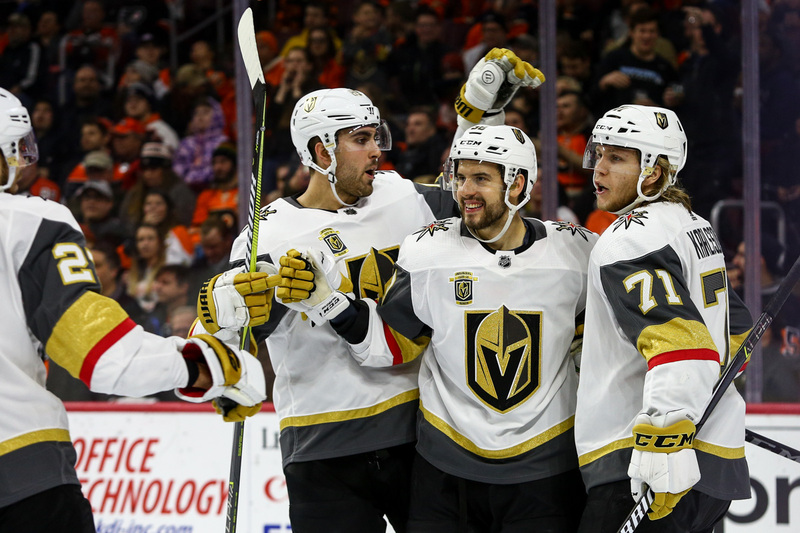 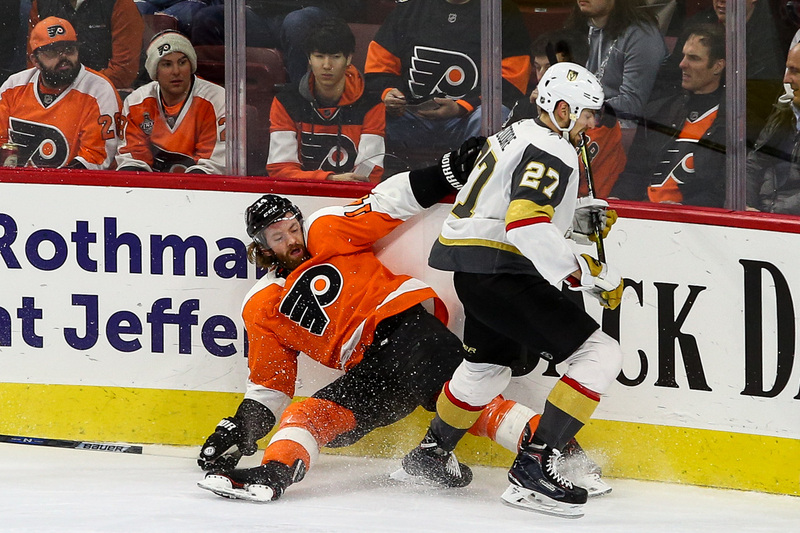 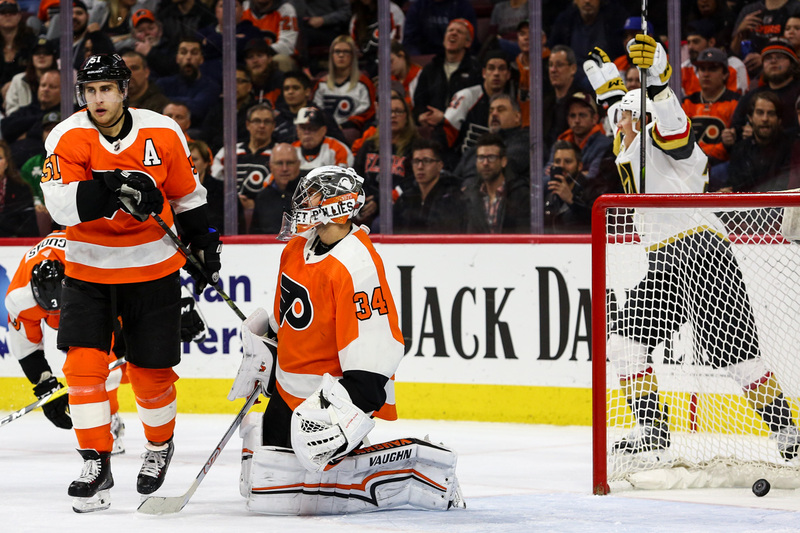 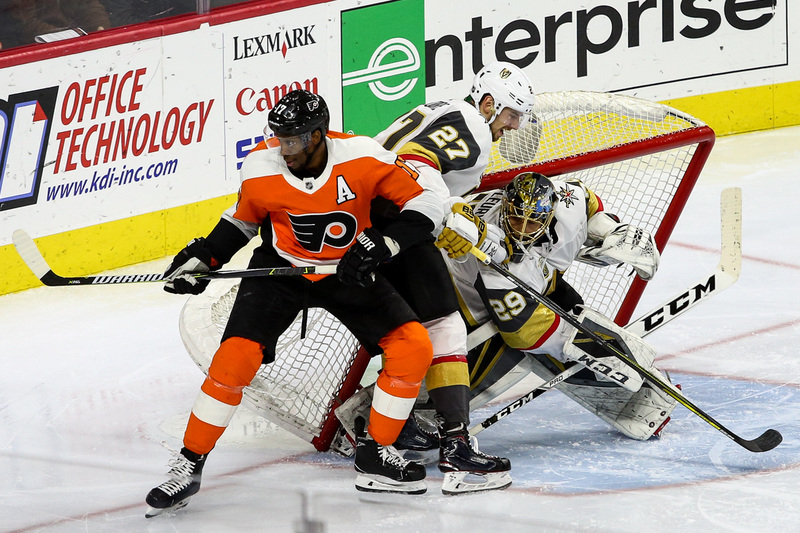 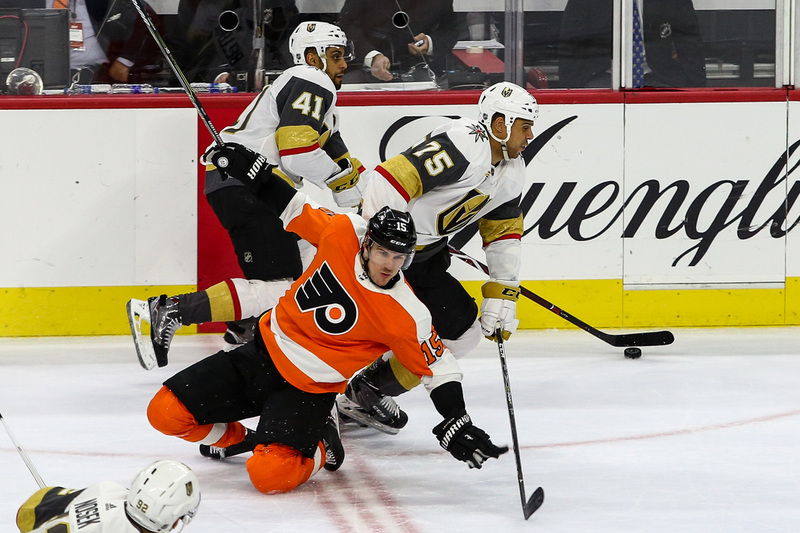 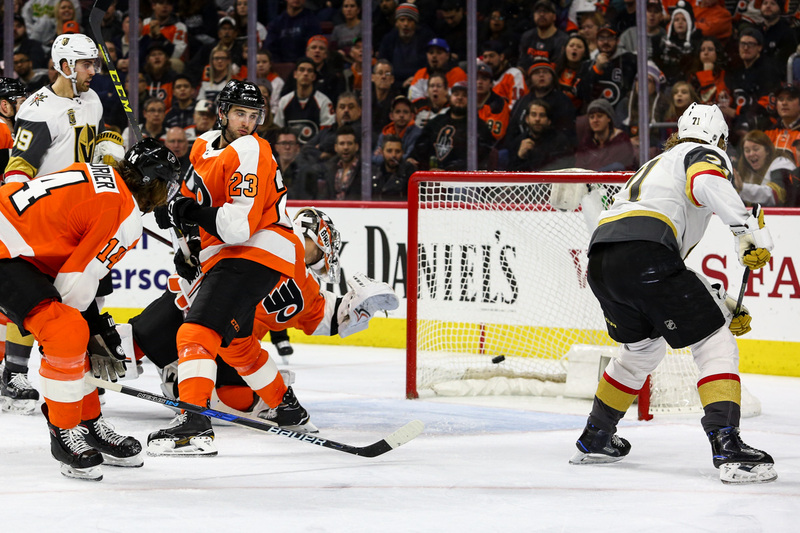 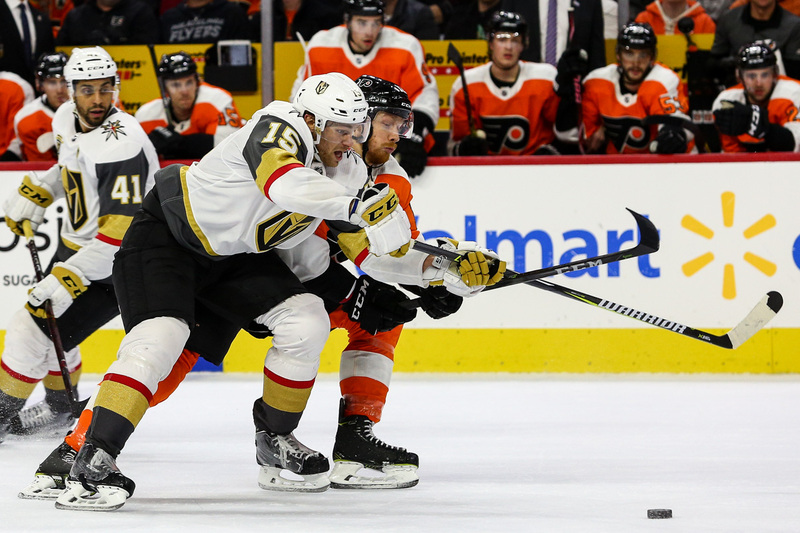 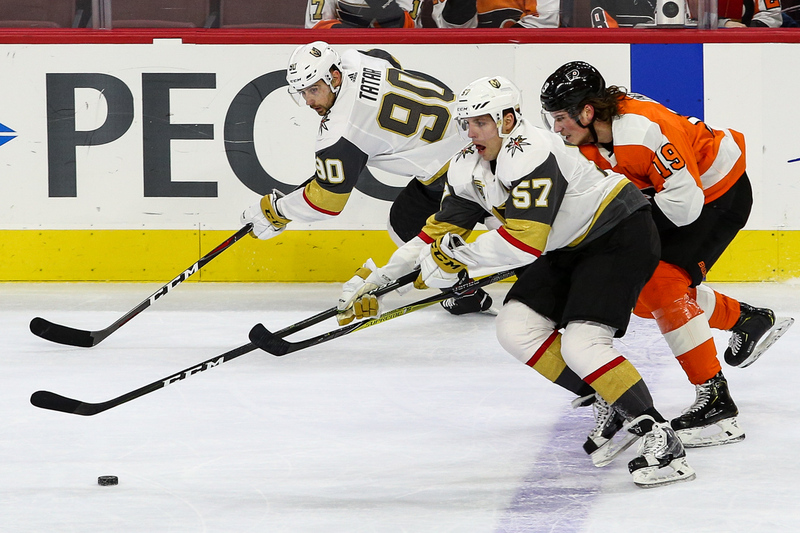 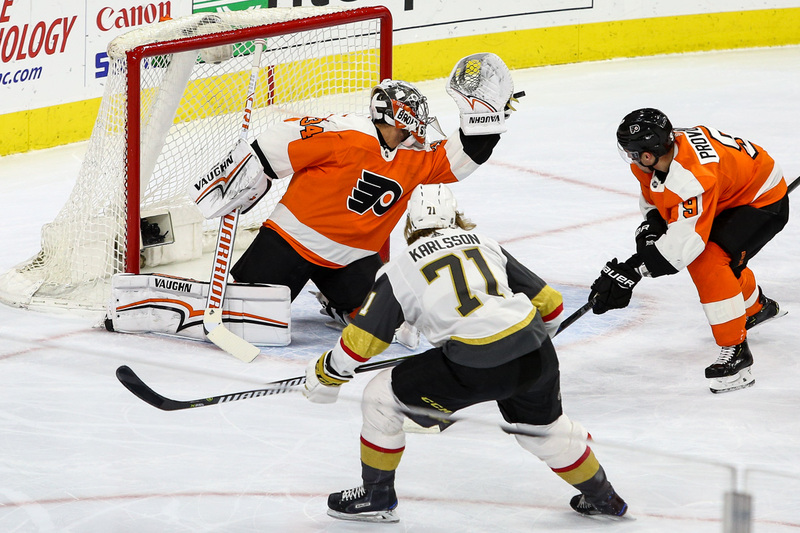 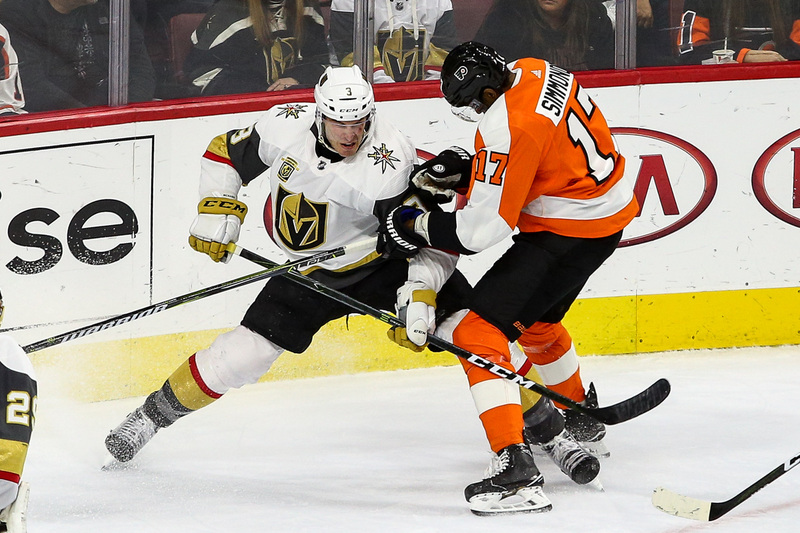 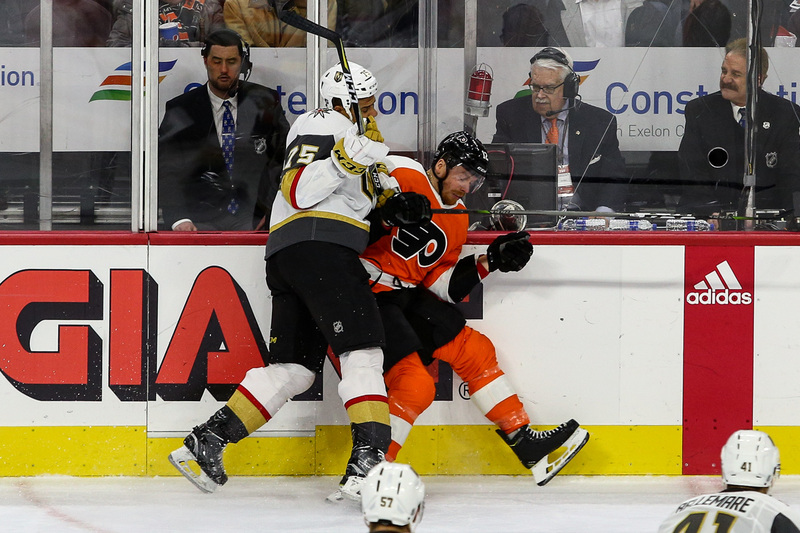 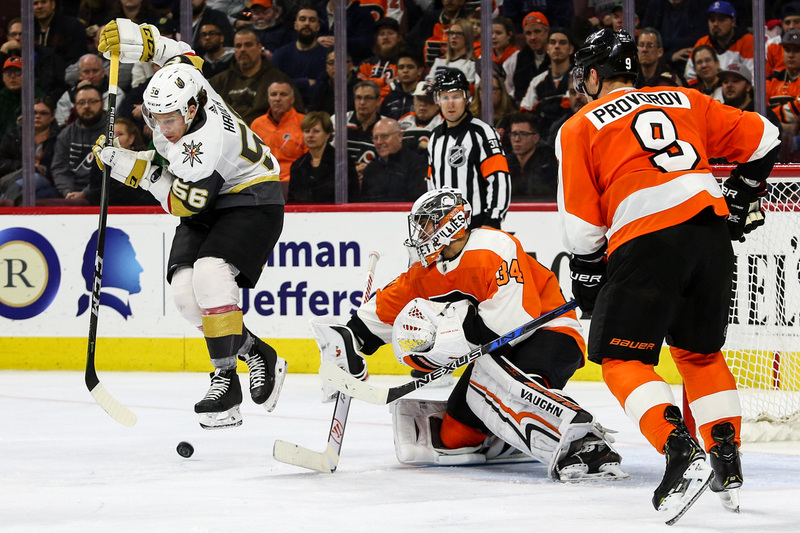 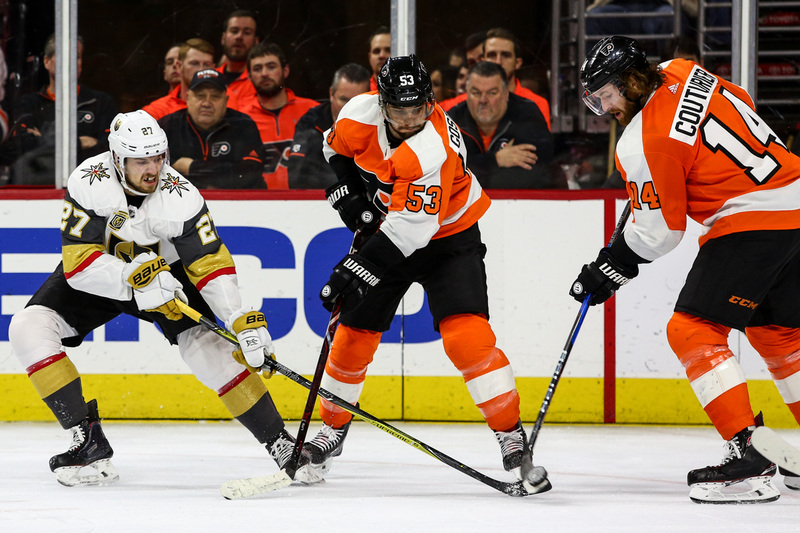 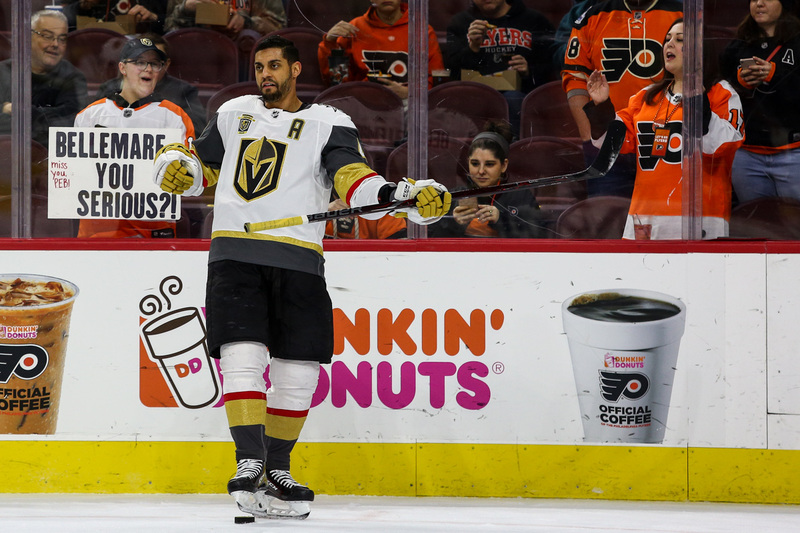 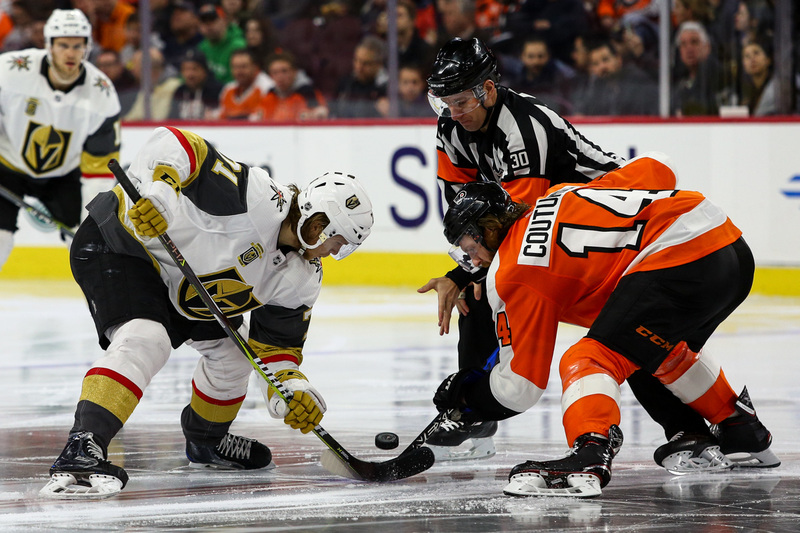 Left Wing Pierre-Edouard Bellemare (#41) of the Las Vegas Golden Knights elbows the glass in front of a fan holding a sign that reads, "Bellemare You Serious. 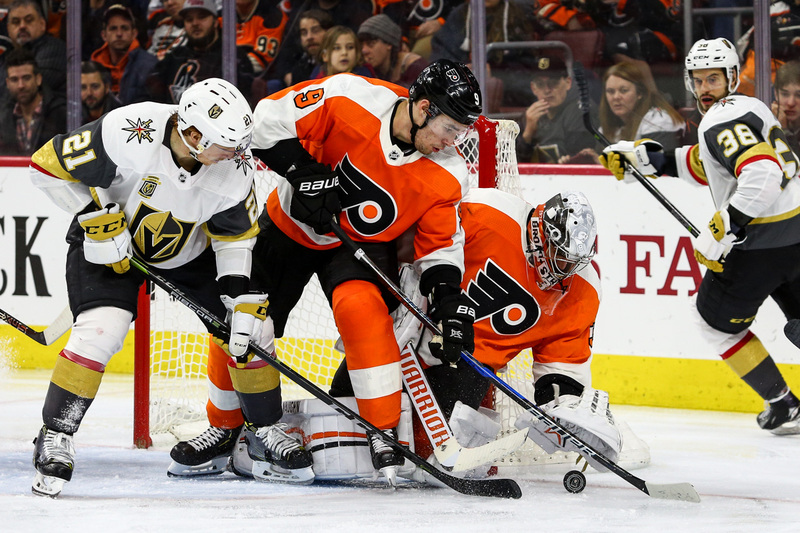 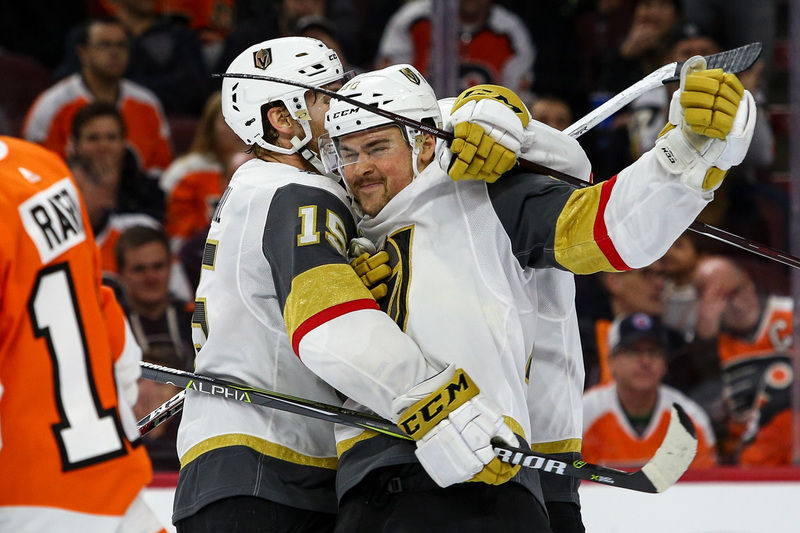 Miss you PEB"
The visiting Vegas Golden Knights defeated the Philadelphia Flyers by a score of 3-2 during regulation. 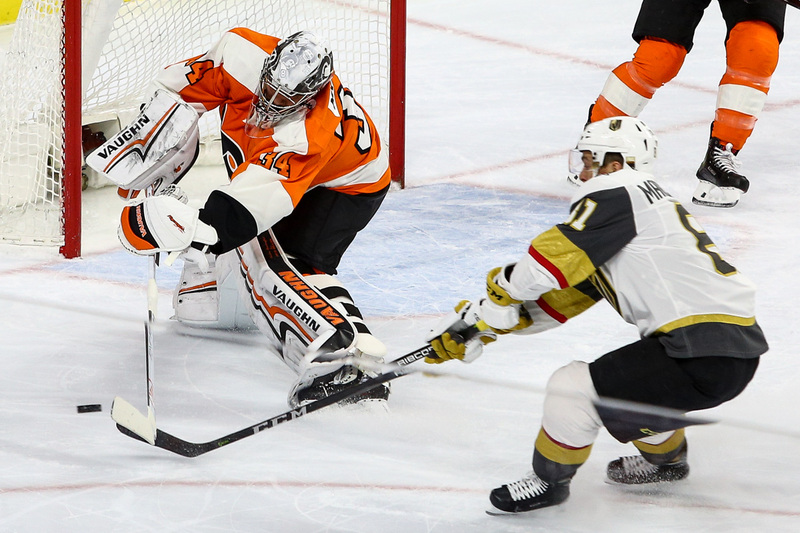 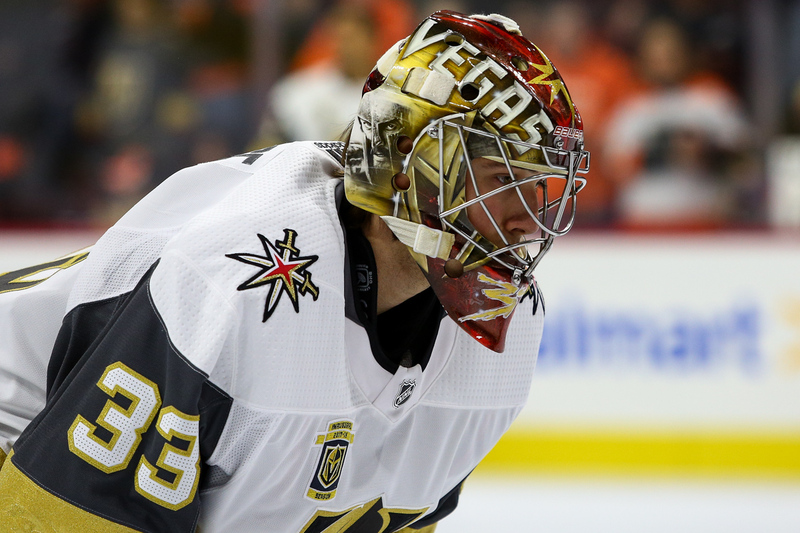 Marc-Andre Fleury earned his 400th career win with the victory. 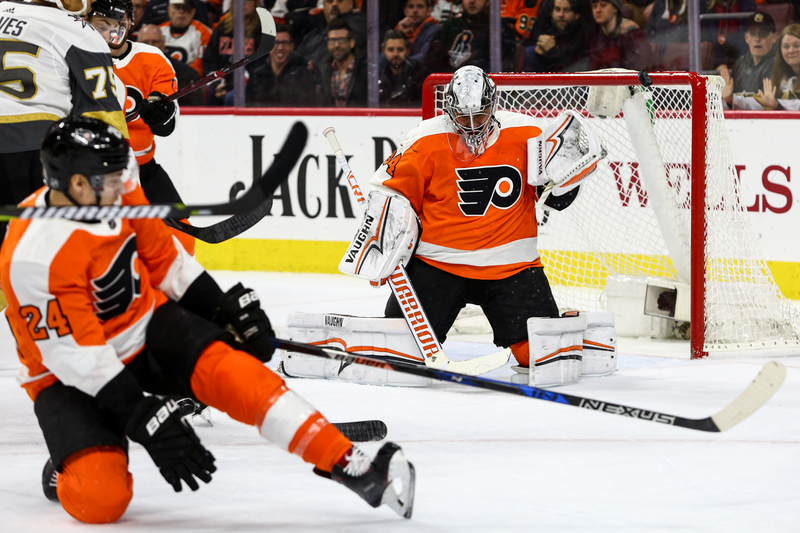 Are the Devils Considering Trading Top Pick?